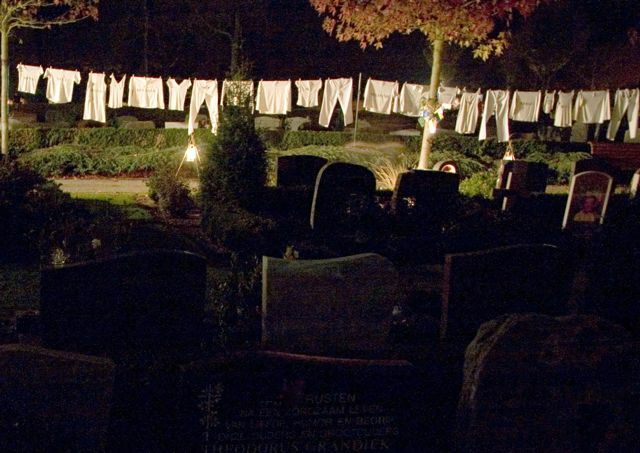 White Laundry If memories dry up, perhaps you can freshen them up. 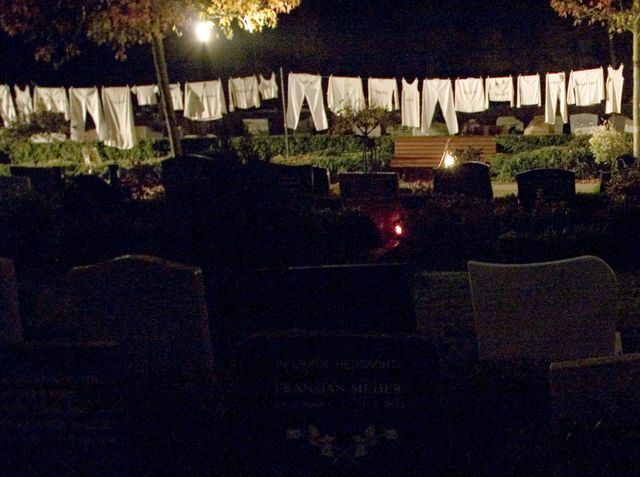 During an All Souls’ Day celebration, a clothesline with white clothing is hung up on the cemetery. 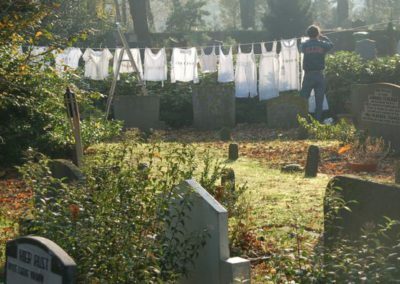 Different relationships are printed on the clothing, such as father, mother, hero, colleague, lover, etc. 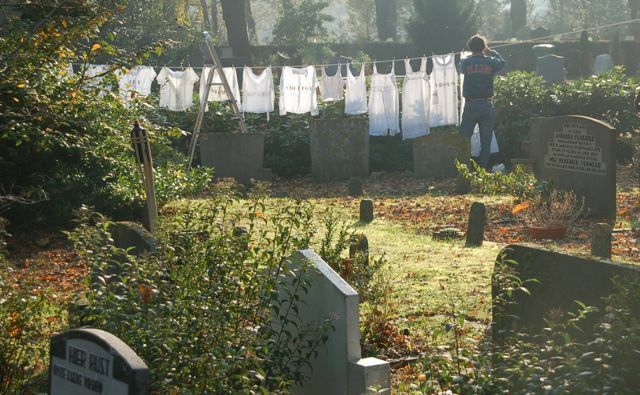 If the memories of your deceased were warm, soak the piece of clothing in a warm bath. However, if it was difficult relationship, soaking it an ice cold bath is also an option. 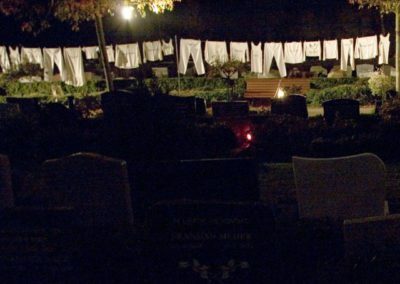 Performed All Souls’ Day Everywhere since 2014. Suitable for All Souls’ Day celebrations. Concept Ida van der Lee. Design Itie Langeland.